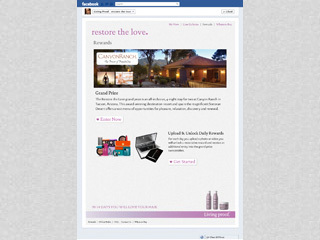 The Restore the Love Facebook App enticed users to enter to win the ultimate Canyon Ranch vacation. 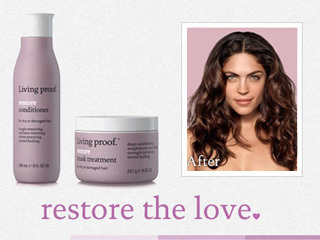 Once registered, users were invited to participate in the 14-day “Restore” challenge and upload daily photos of their experiences with the Living Proof Restore product line. 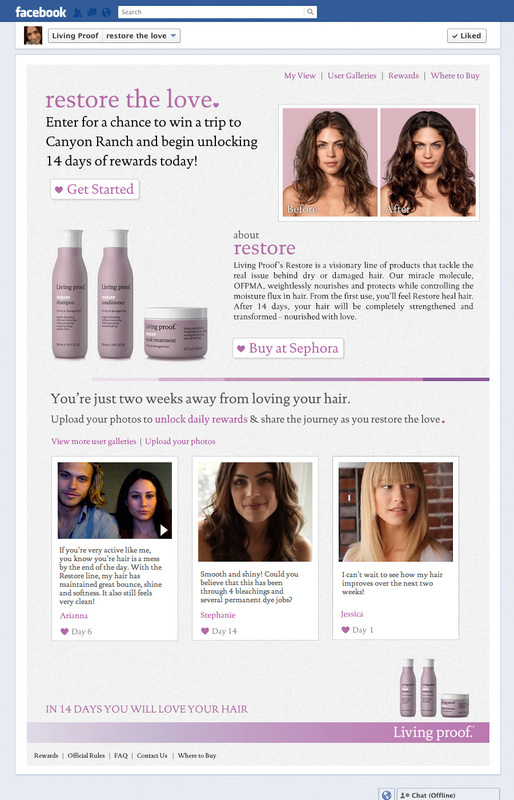 With each daily upload, users unlocked and received free digital and physical rewards including iPhone Apps, magazine subscriptions, energy drinks and $25 worth of Living Proof products. Designed, developed and maintained by Pomp Productions, the campaign lasted 30 days and was part of an overall strategy conceived and executed by Protagonist which increased the Living Proof Facebook Page Fan count from 18,000 to over 100,000.